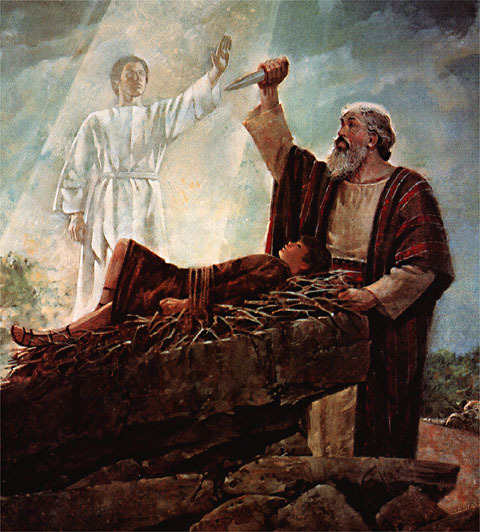 Interpretation of the doctrine in that verse has fueled a recent schism among some who belong to the Church of Jesus Christ of Latter-day Saints. Denver Snuffer – a lawyer in Sandy, Utah – was excommunicated for apostasy in 2013. Snuffer first gained notoriety for teaching in his book, “The Second Comforter” that every person should seek to obtain a personal visitation from Jesus Christ in this life. Snuffer drew the ire of LDS Church leadership with his book “Passing the Heavenly Gift.” In this book, Snuffer denied that the prophets and apostles after Joseph Smith died had actually seen Christ and concluded that they had gradually led the church away from many doctrines of the gospel that Joseph restored. Snuffer’s incorrect thesis has sown confusion among many well-meaning members of the church and caused them to misunderstand the true context of D&C 93:1. It put several at odds with both the scriptures and the living prophets and apostles and led them to follow Snuffer out of Christ’s church. In other words, obtaining a personal visit from Christ is not like ordering a pizza or streaming a movie. God does not deal in instant gratification. He wants us to demonstrate a firm commitment to his gospel and exercise faith in Christ before blessing us with such a lofty sign. We must be humble and patient and be willing to endure a trial of our faith. Even after doing these things, we must leave it up to God to decide when, where and how he reveals himself to us. Prophets and apostles who saw Christ in the scriptures were blessed with that experience because they first exercised great faith and lived in harmony with his gospel. They listened to the voice of the Holy Ghost and kept the commandments over many years. They prayed with humility and only sought to do his will. Never do you see an occasion where a prophet or an apostle demanded a personal visit from Christ simply to satisfy their own curiosity. God will not magically appear like a genie in a lamp to anyone who demands to see him. Pestering him until you see him face-to-face is not what the scriptures teach. In other words, God expects us to exercise faith in him and be patient. We do not receive any sign, miracle or other dramatic spiritual manifestation at a time of our own choosing. We only receive these things after a trial of our faith. God wants us to learn to walk by faith and obedience. The concept of a trial of faith implies the passage of a long period of time. Returning to the presence of God is a journey that requires many steps. The first step is building faith in Christ. Repenting of our sins is next. Then we must be baptized for the remission of those sins by one who has authority from God. We then are given the gift of the Holy Ghost and must receive the Holy Ghost. This is only the beginning of the path as Nephi teaches in Chapter 31 of 2nd Nephi. We must continue to press forward in faith, receive the Holy Ghost and keep the commandments of God. Only by showing God that we will live by every word that comes from him through the scriptures, the voice of the spirit and his chosen leaders do we prove ourselves worthy to enter into his presence. Only when we show we are determined to obey God’s voice at all costs will our calling and election be made sure and we receive the second comforter as promised in the 14th chapter of the Gospel of John. “And if your eye be single to my glory, your whole bodies shall be filled with light, and there shall be no darkness in you; and that body which is filled with light comprehendeth all things. “Show me Latter-day Saints who have to feed upon miracles, signs and visions in order to keep them steadfast in the Church, and I will show you members of the Church who are not in good standing before God, and who are walking in slippery paths. It is not by marvelous manifestations unto us that we shall be established in the truth, but it is by humility and faithful obedience to the commandments and laws of God.” (Conference Report, Apr. 1900, Page 40). 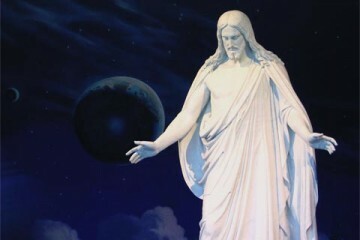 Seek to pattern your life after the Savior and his teachings and build faith in him, his gospel and his chosen servants. We should all aspire to receive the second comforter. The best way to do it is to follow the pattern he outlined in the scriptures. Don’t fall for the trap laid by Denver Snuffer. Rejecting the prophets and apostles God has called through revelation to lead his church will not aid us in obtaining the second comforter. Christ does not show us a miracle or sign without the purpose of furthering his work, no matter how badly we want it. Faith is always the key and, if we prove ourselves faithful, we will obtain any blessing God desires us to have – on his own timetable. I found your website (thank you for linking it) from a comment (several) you made on a blog post about this exact thing which might have been why you wrote this. I have been rather astounded at how smooth the teachings are on that particular blog (which I don’t really follow but some year’s past we were friends). My brother is sort of sitting on the fence towards going down this same path and I have been reading some blog posts in order to read the comments to find people who articulate their responses well. You are a perfect example. I never can seem to find the right words even when I am overwhelmed by the Spirit that what they are “teaching” is incorrect. I am studying the prophets, the scriptures and others like you whose words are the right words that someday I might fill my own mouth with them. Thank you!